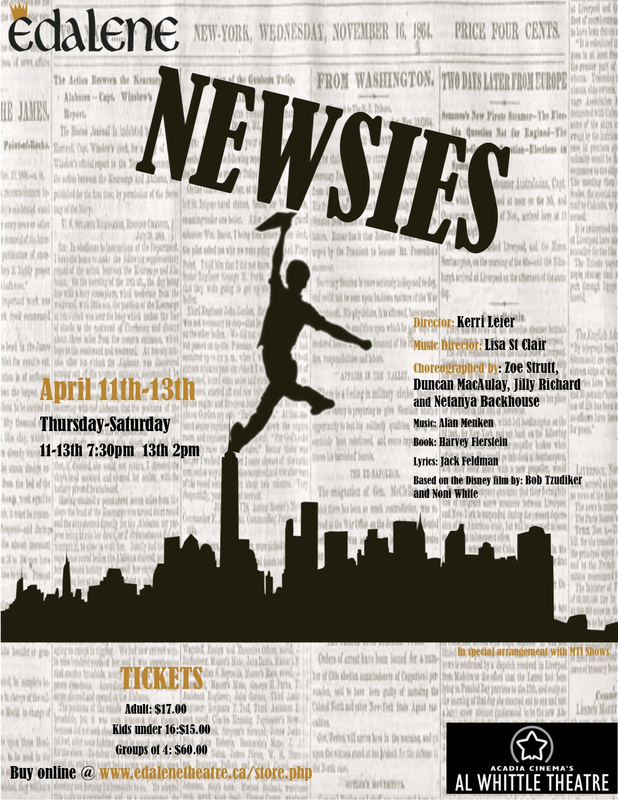 Based on the movie of the same name, Newsies centres around the actual Newsie strike of 1899, when a ragged army of kids took on the most powerful men in New York. Filled with the incredible music of Allan Menken, and show stopping dances-this show will inspire, uplift and entertain! Call or email to reserve, or book online!